This historic country club in Danville, California, originally received guests in horse-drawn carriages in what is now the current bar space. Drawing on history and modern construction methods, Kathy respectfully led the interior design team and club design committee through its expansion and renovation. 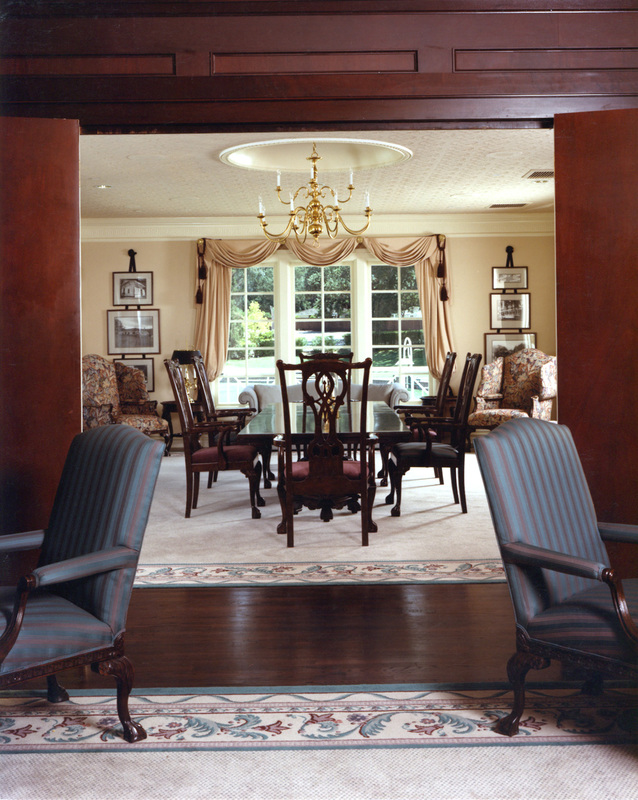 Classic architectural detailing and traditional furnishing were incorporated to elevate the stature of the interior. Grand scale in furniture and art brought intimacy in rooms with 22 foot high ceilings. Original fixtures and millwork were modified and repurposed to maintain the historical connection.